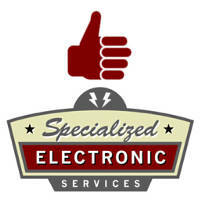 At Specialized Electronic Services, we are one of the largest Elektrim Sales Centers in the Dallas, Houston Texas area. We are experts in Elektrim Motor sizing and sales. We can sell the entire Elektrim and Elektrimax motor product line. We have extensive sizing and coupling experience with all Elektrim products. Below is a partial list of the Elektrim units we have sold. We are constantly working with the Elektrim Factory to insure our sales group is well versed in the newest Elektrim products. Be sure to contact us for any sales questions you may have. We have Elektrim AC motor deals so compare pricing if you feel you have been paying too much for your AC motors. The Elektrimax line of general purpose motors has now been given an Inverter Duty rating. 5:1 for Constant torque and 10:1 for Variable torque. Call and ask for sales to purchase your AC motor today at 1-800-681-7374. Below is a partial list of some of the Elektrimax line of general purpose foot mount AC motors we have in stock in Dallas Texas. We carry many horsepower sizes and frames not listed so call us today to find out price and availability. Most of the units listed below are in stock in Dallas Texas. In this group of Elektrimax part numbers are some of the Electrimax general purpose C-face mount AC motors we have in stock in Dallas Texas. We carry many horsepower sizes and frames not listed so call us today to find out price and availability. We ship anywhere in the USA and Canada. In this list of Elektrimax motors are some of the general purpose D-flange mount AC motors we have in stock in Dallas Texas. We carry many horsepower sizes and frames not listed so call us today to find out price and availability. We ship anywhere in the USA and in some areas outside the USA. In this list of Elektrim motors are some of the Barracuda stainless steel wash down motors we have in stock in Dallas Texas or in the Chicago Illinois area. Most of the motors here are 30 horse power and below. All motors in this grouping are either TEFC or TENV enclosures. We would love to help you with your washdown duty motor needs so call us today to find out price and availability. We can drop ship to your location from the factory direct to save on time and shipping costs. We may have a Elektrim ac drives manual or a Elektrim ac drives technical handbook or a Elektrim ac drives technical guide book. Call us today. Call our sales department at 1-800-681-7374 to order your Elektrim or Elektrimax motor today. We sell many motors not listed above so call us even if the motor you are looking for is not on the list. We have over 250 motors in stock in Dallas Texas.